Researchers have discovered that two infections common in domestic bees – whose colonies have been collapsing in North America and Europe – can spread to wild bees. Both managed and wild bees are essential for pollinating crucial agricultural crops from almonds to zucchini. The finding may partly help explain the global decline of wild pollinators such as bumblebees, suggests a study1 published in the February 20 edition of the science journal Nature. Previously, scientists thought the infections were specific to species. Global trade may be worsening infection rates, as domestic bees are shipped from place to place to pollinate commercial crops, and could thus infect wild bees wherever they go. “As generalist pollinators, honeybees are traded and now distributed almost worldwide for crop pollination and hive products,” wrote authors Matthias Fürst and Mark Brown, both of Royal Holloway University in London. “Emerging infectious diseases pose a risk to human welfare, both directly and indirectly, by affecting managed livestock and wildlife,” they noted. 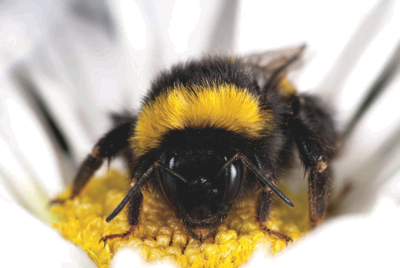 In a laboratory, the researchers were able to infect bumblebees with two common pathogens that harm or kill honeybees: deformed wing virus (DWV) and Nosema ceranae, a fungal parasite. The study did not suggest solutions to the problem of disease transmission from managed to wild pollinators. It noted that measures to reduce pathogens in managed bee colonies are complicated, and the authors wrote that more research is needed to find out if better hygiene and tighter shipping regulations would help. Pollinators worldwide, both managed and wild, face challenges including a multitude of infections, changing food sources, and chemicals including some pesticides. Their decline poses a risk to human food security.